In order for an AI system to be successful, it needs as much data and resources as possible. Researchers and developers may have an outcome in mind, but the idea may change as soon as machine learning algorithms have run their course. That’s the beauty of AI: it can see and do what 10,000-plus humans can not. The idea behind Element AI began in much the same way. Initially, its goal was to build AI tech and platforms for companies that could not do it themselves. 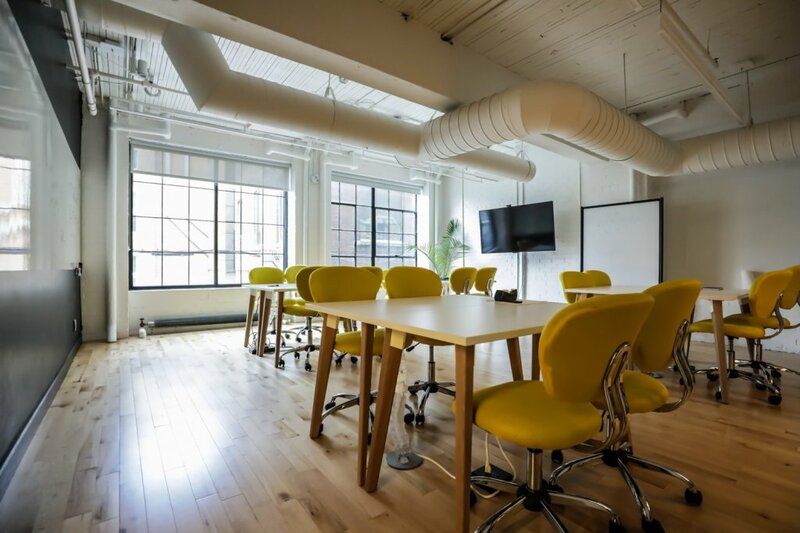 However, as the Montreal-based company began to work with more varied clients—including insurance companies, government-funded media, and massive infrastructure installations—the company’s perspective changed. The original business plan was still sound, but another vision of it emerged, with a much loftier goal. Element AI found themselves at a point where they could not only contribute to the development of the AI industry; they could lead it as well. Very few companies in the world have this opportunity. Element AI had to act fast, and more importantly, they had to act responsibly. It took Element AI just over eight months to raise $102 million USD in VC funding. This remains as one of the largest funding rounds ever for a Canadian tech company and is a testament to the firm’s goals and its founders. Jean-Francois Gagné, Nicolas Chapados, and Yoshua Bengio started Element AI in late 2016, and that funding round followed in June 2017. Gagné, now the CEO of Element AI, is a storied entrepreneur, having previously served in executive roles at Planora and JDA Software. He also never went to university. His two co-founders, however, hold PhDs and have helped form humanity’s basic understandings of AI. 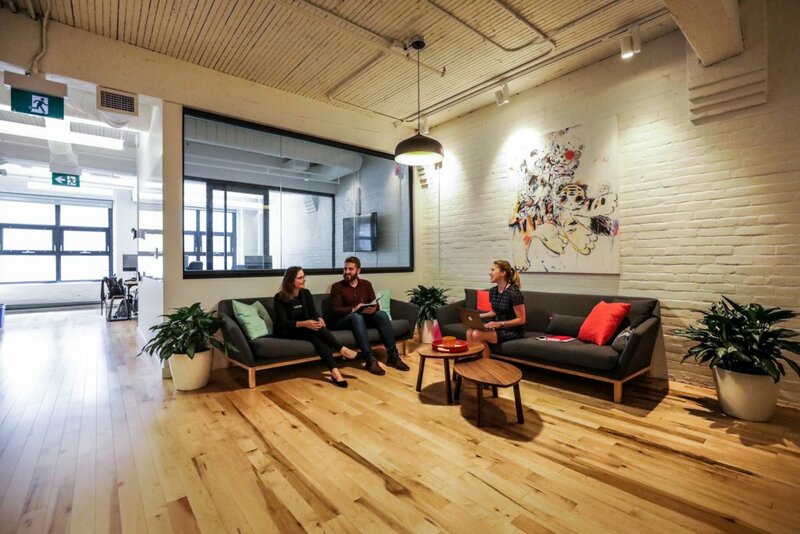 The history of its founders helps underscore Element AI’s approach. They are committed to the development of AI, both as a community and a technology, but they will always be a business first and foremost, one that creates AI frameworks for some of the largest companies in the world. As that vision progressed, and Element AI found its foothold, Gagné and his team stumbled upon something a bit more meaningful. They wanted to work with partners and create AI “responsibly, with proper governance and frameworks, along with a social responsibility,” Gagné says. Only a certain kind of AI company can influence how the sector progresses. After all, niche startups with a handful of researchers don’t really have a say, and experts from the likes of Google’s Deepmind, Facebook and Tesla can dominate headlines with off-handed remarks that offer little value. But due to their founding team and sizeable funding, Element AI realized an opportunity to build a community that could influence the formation and scaling of the AI industry in a positive manner. They were an alternative to big tech, and people would actually listen to them. It didn’t all come at once though. “It’s hard to answer if the idea of an AI community was a real goal from the beginning,” Gagné says. For Element AI, collaborating and building an AI community was a natural move, helping them stand out in a big tech ecosystem. For many companies to access AI in a meaningful way, it meant being coerced into opaque and Daedalean agreements—the antitheses of Element AI’s goal for the field’s future. The solution? Open-source the AI world by bringing in like-minded individuals who want to build frameworks based on ethics and responsibility. Having a vision is fine, but acting on it is what actually matters. To that end, Element AI is using their historic VC funding to expand their business interests and develop the AI community, through sponsorships, partnerships, and networking opportunities. They needed to start somewhere, though, and despite the global reach of Element AI, where better than at home in Montreal? Startupfest, a premier tech conference hosted annually in the city, had its own AIFest, curated and produced by Element AI. This year’s edition featured dozens of founders, researchers and thought leaders exploring the impact of AI on society and business, with discussions on topics like “Exploring AI Through a Social Lens” and “Tackling Gender Bias in AI.” In the 2017 edition, Element AI sponsored a contest to produce an AI prototype that would fight fake news. 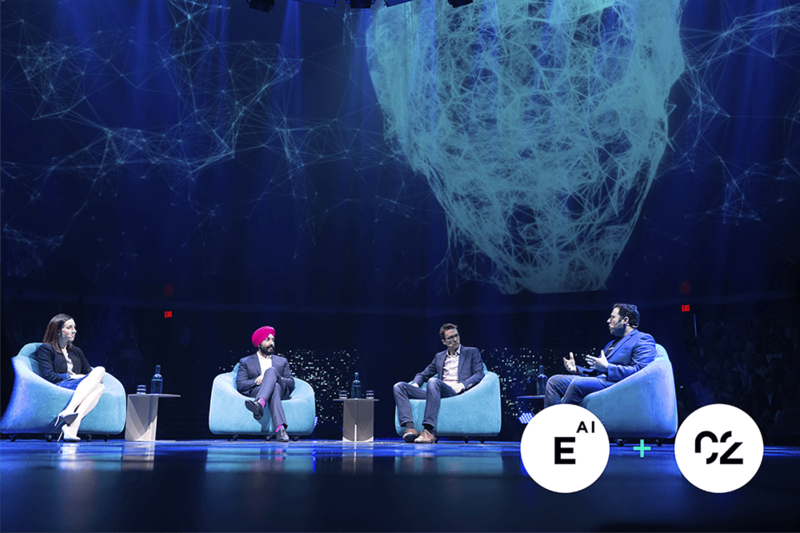 The company also produced a three-day AI Forum for C2 Montreal this year, where Gagné and Bengio led keynotes and helped curate discussions on ethics, limitations, and AI for good, among a dozen other topics. 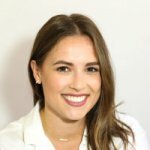 “We brought in all of these experts who the community might not have access to if we didn’t tap them on the shoulders and invite them in,” explains Katy Yam, Element AI’s Marketing and Communications Director. 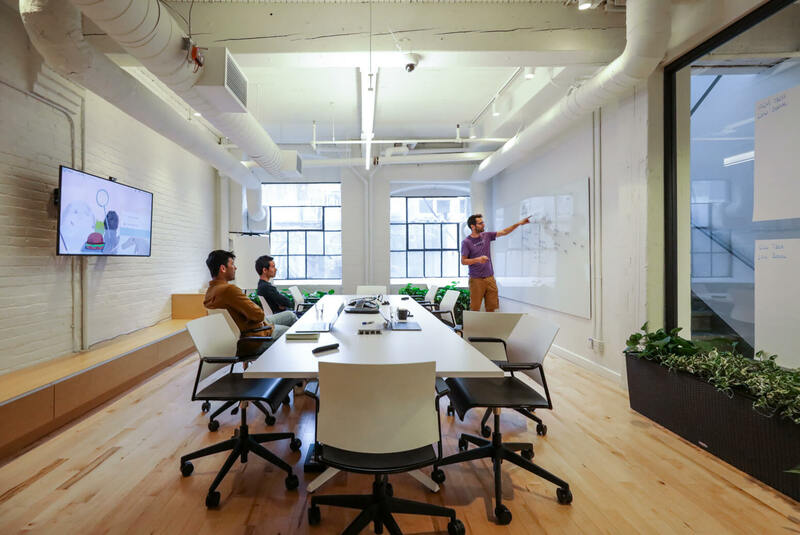 Element AI also has deep relationships with leading research labs, such as the MILA and McGill University’s RLL, allowing them to continually push the boundaries of what it means to be a research-oriented business. 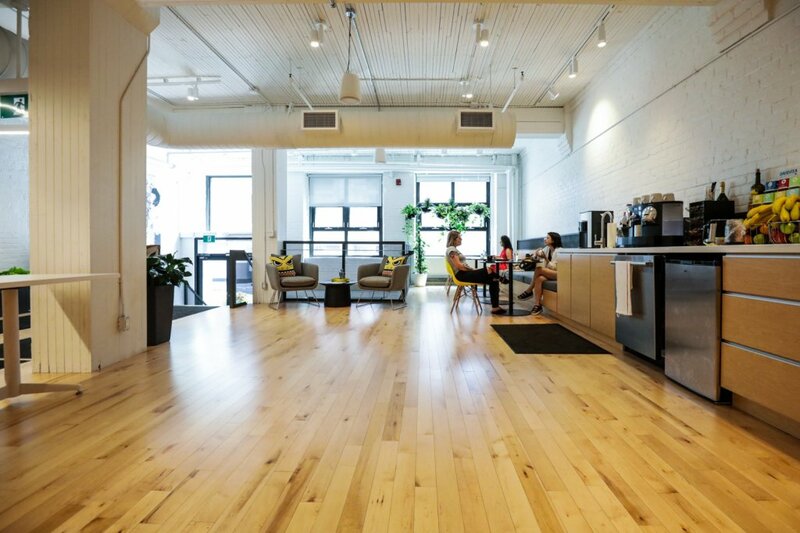 An open space for events at Element AI’s Toronto location. Like many large tech companies, Element AI is intensely secretive about their work. Very few of their projects are public knowledge, but those are very telling. 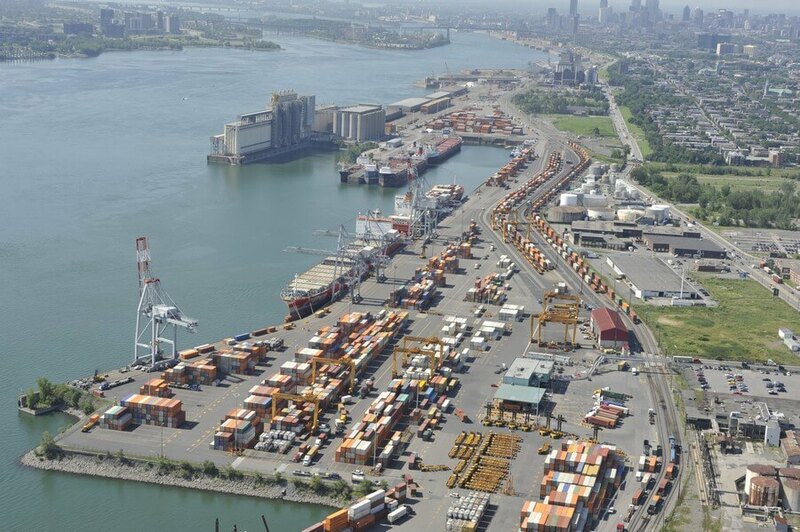 The company, for example, worked with the Port of Montreal–which takes in over $41 billion of goods each year, managing over 2,500 trucks per day—to help better manage idle and wait times. The company designed a predictive model that leverages historical and real-time data, giving drivers a better understanding of when to get to the port, hours ahead of time. Not only does this lead to better profit margins for an industry quickly outgrowing its infrastrucutre, it also reduces CO2 emissions and congestion, a best-of-both-worlds solution Element AI has come to be known for. The Racine and Grain terminals at the Port of Montreal. Another example is the company’s work with an unnamed insurance giant. Element AI is working to create a predictive satellite imaging model that can better assess potential risks, detect events and then drive action plans. The business upside is evident, but Gagné outlines another purpose once it is further developed. In this case, the technology could help alert NGOs that something might be at risk and then create a plan to help mitigate that risk. Gagné doesn’t go into much detail after that, as it’s clear this is still a developing project. The potential is there though, and it all circles back to the reason Element AI champions community in the first place. Element AI also works with clients to ensure proper change management is in place. Their solutions sometimes result in employees being forced to evolve in their roles, and as the agent of that change, Element AI works to make sure everyone is involved in that process, including helping people find other spots in the organization that can drive value. This is the kind of program Gagné wants to see in place when AI comes in to improve workflows. A lot of people don’t understand the implications AI will have on society. It can factor into weaponry, medicine, the supply chain, banking and more. So who should be the ones to make sure the public is aware of how it will change the world? When someone who is not familiar with the tech world thinks of AI, recent headlines point to a few familiar phrases: killer robots, dangerous autonomous cars, and robots taking our jobs. Technology’s greatest minds do not shy away from the subject, further adding fuel to the topic. Gagne speaking on a panel about ethical AI at C2 Montreal. Other leaders are a bit more optimistic. The fact remains that if there’s still a debate, there’s still work to be done. 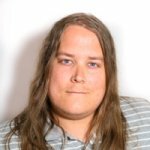 Element AI is addressing these concerns, both as a business and a community member. The company recently opened an office in London (they also have offices in Toronto, Seoul, and Singapore) to focus on “AI for good.” The aim is to solve global issues by empowering NGOs, intergovernmental entities and local actors; advance methodological research; and promote and connect talented AI scientists in developing nations through fellowships and visiting scholar programs. Gagné and his team have done their part to lead the development of the industry, and are now looking forward. One goal is to find ways to work with partners who don’t have the trove of data needed to feed AI systems. The overarching idea of AI for good, though, will always remain for Element AI.